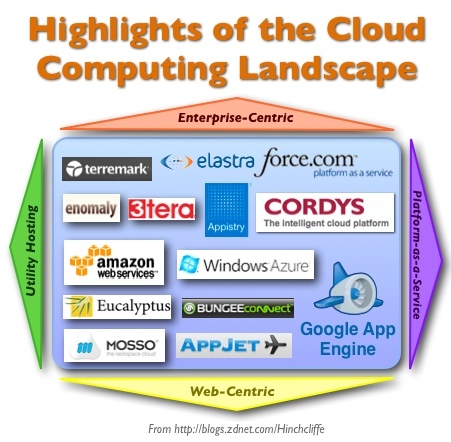 Summary: Cloud computing is broad topic. For this Project in business 188 class I will be focusing only on what is cloud computing, Different definitions of cloud computing, Types and Services of cloud computing. I have tried to use as many pictures as possible which explain the concept of cloud computing. There is one video you can watch on this site which gives a very good idea of what cloud computing is. Each definition has a link to the site from where i got it. This way you can read more about cloud computing. History of cloud computing gives us a time-line or major milestones for cloud computing and the major players involved in this area. Types of services shows the services offered in this field and the companies that offer them. lastly, the types of clouds gives us an idea that companies can choose between private or public or a mixture of the two clouds that is the hybrid cloud depending on their requirements. Cloud computing is Internet-based computing, whereby shared resources, software and information are provided to computers and other devices on-demand, like electricity. · The use of a Web services such as Flickr, Google Docs, Jing (video screencapture service) to perform the functions that were traditionally done with software installed on an individual computer. 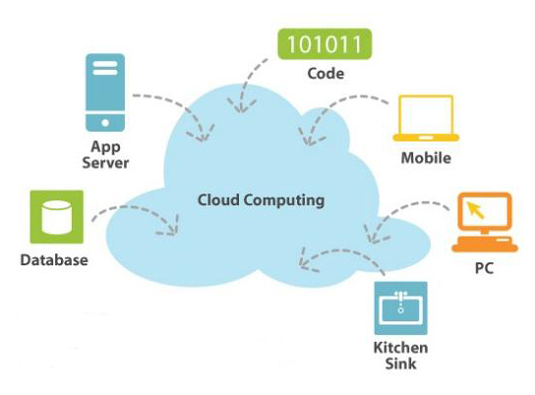 NIST definition : Cloud computing is a model for enabling convenient, on-demand network access to a shared pool of configurable computing resources (e.g., networks, servers, storage, applications, and services) that can be rapidly provisioned and released with minimal management effort or service provider interaction. 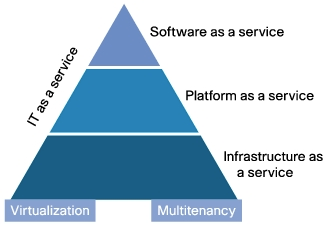 This cloud model promotes availability and is composed of five essential characteristics, three service models, and four deployment models. The definition I liked the most was by Simon Wardley according to him cloud computing is a transition/ transformation just like industrial revolution. It consists of the concept, suitability, attitude and technology. be organized as a public utility just as the telephone system is a public utility... The computer utility could become the basis of a new and important industry. the MIT Centennial in 1961. Cloud computing was also known as time-sharing by companies like IBM. In late 1990’s companies like InSynQ, HP started offering utility computing. Aarrival of Salesforce.com in 1999. Amazon Mechanical Turk: This is nothing but cloud-based services including storage, computation and even human intelligence. Web service by Amazon was Elastic Compute cloud (EC2): Allows small companies and individuals to rent computers on which to run their own computer applications. Web 2.0 (more user-interface, software and storage facilities, all through their browser). E.g Google Apps. Three types of Clouds: Private or Internal, Public or External, Hybrid is a combination of the two.